As a member of the Colbert Committee, which brings together French luxury brands and cultural institutions, Château Lafite Rothschild regularly participates in initiatives to promote the French lifestyle and French culture at an international level. 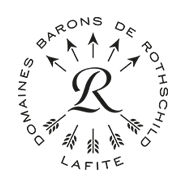 In December 2018, Château Lafite Rothschild was involved in two initiatives aimed at young American entrepreneurs from the United States’ Silicon Valley. The Colbert Committee invited one hundred people to discover “the expertise behind the world of French luxury” with a series of special events on 3 and 4 December 2018. A total of 23 exceptional experiences were created by the Committee’s 48 producers of luxury products. Breguet, Bernardaud, La Maison du Chocolat and the Château de Versailles teamed up to produce a “Royal Party” for twenty guests in partnership with Château Lafite Rothschild. In the French Pavilion, in the heart of the Château de Versailles’ Trianon gardens, a tasting of three Grand Cru Classé vintages was paired with a selection of chocolates and creations from the Maison du Chocolat, all served on Queen Marie Antoinette porcelain from Bernardaud, on a beautiful table decorated especially for the occasion. Finally, Breguet, the King’s watchmaker, presented a “number one” pocket watch, whose complex perpetual mechanism was highly appreciated by the Queen. Château Lafite Rothschild also collaborated with the Guy Savoy restaurant, voted best restaurant in the world in 2018. A dozen guests were invited to this temple of French gastronomy, to sample the starred chef’s cuisine and taste several vintages of Château Lafite and Château Rieussec, a Sauternes Grand Cru Classé. A culinary adventure that- we hope – will have delighted our guests.